A BIG WIN for freedom of speech and academic freedom as former JCU Great Barrier Reef expert, Peter Ridd, wins wrongful dismissal case against James Cook ‘University’. ALSO, a massive win for climate scepticism and the fight against sloppy, pseudoscientific ‘science’ driven by Leftist dominated academia driving the $2,000,000,000,000 US per year (2 Trillion) man-made global warming climate change agenda. A Federal Court judge has ruled that James Cook University acted unlawfully when it sacked professor Peter Ridd after he publicly criticised the institution and one of its star scientists over claims about the impact global warming had on the Great Barrier Reef. Professor Ridd, who worked at the university for 40 years, challenged the dismissal in the Federal Circuit Court, saying the university breached its own enterprise agreement which allowed all staff to express controversial or unpopular views. The physics professor argued that the Townsville-based university, which is renowned for its marine science expertise, dismissed him for breaching the university’s code of conduct. Handing down his decision today, judge Salvatore Vasta said that the 17 findings used by the university to justify the sacking were unlawful. At a hearing last month, Professor Ridd’s barrister Stuart Wood argued his client was entitled to criticise his colleagues and the university’s perceived lack of quality assurance processes. In 2016, Professor Ridd emailed a journalist to allege that images given to the media by the Australian Institute of Marine Science and Great Barrier Reef Marine Park Authority were misleading because they showed poorly affected corals, which were selected over nearby healthy coral and used to show “broad scale decline” of reef health. Professor Ridd claimed the use of the images was “a dramatic example of how scientific organisations are happy to spin a story for their own purposes”. He also said his colleague Professor Terry Hughes, the head of JCU’s Centre of Excellence for Coral Reef Studies, would “wriggle and squirm” when asked to explain the discrepancies in the images. Professor Ridd was censured again when he repeated the claims on Sky News. After a third alleged violation of the code of conduct, Professor Ridd was sacked in April 2018. THE Climatism Tip Jar – Pls Help Keep The Good Fight Alive! THE polar bear as an icon for Global Warming Climate Change is dead, because the distorted predictions made by Polar Bear ‘specialists’ were wrong. THIS is a lesson for researchers in other areas who have failed to stop the invasion of politics into their science. CLIMATE history provides an important cross-reference against the current hype over “extreme weather” references used in today’s political ‘climate’. It is a clear reminder that, in this part of the world at least, storms tend to be much worse in a colder world. The other point of interest, however, is his reference that sea levels may have been 50cm lower than between AD 1000 and 1400. This of course refers to the period around 1700, and we don’t have much idea of how far sea levels rose in the 18thC. It is generally accepted though that since the late 19thC they have risen by maybe 20 cm. This is strong evidence that current sea level rise is simply part of a much longer term pattern. NO other icon of ‘Global Warming’ epitomises its very own false narrative like the polar bear does for ‘Climate Change’. WITH deadly irony, polar bear numbers have grown dramatically as carbon dioxide emissions have risen in lock-step. A CO2 correlation, at last! POLAR BEAR POPULATION – THE LATEST COUNT! Susan Crockford is zoologist with more than 35 years experience, including published work on the Holocene history of Arctic animals. She is currently an adjunct professor at the University of Victoria, British Columbia. It’s long past time for polar bear specialists to stop holding out for a scientifically accurate global estimate that will never be achieved and determine a reasonable and credible ‘best guess’. Since they have so far refused to do this, I have done it for them. My extrapolated estimate of 39,000 (range 26,000-58,000) at 2018 is not only plausible but scientifically defensible. In my new book, The Polar Bear Catastrophe That Never Happened, I contend that this situation will probably never change, so it’s time to stop holding out for a scientifically accurate global estimate and generate a reasonable and credible ‘best guess’. Recent surveys from several critical polar bear subpopulations have given us the information necessary to do this. These new numbers make it possible to extrapolate from ‘known’ to ‘unknown’ subpopulations within so-called ‘sea ice ecoregions’ (defined in 2007 by polar bear scientists at the US Geological Survey, see Amstrup et al. 2007), as shown below, to update old estimates and generate new ones for never-studied areas. Global polar bear population size estimates to 2018. From Chapter 10 of The Polar Bear Catastrophe That Never Happened (Crockford 2019). This new estimate for 2018 is a modest 4-6 fold increase over the 10,000 or so bears that existed in the 1960s and after 25 years, a credible increase over the estimate of 25,000 that the PBSG offered in 1993 (Wiig et al. 1995). However, my new estimate is much larger than the improbable figure of about 26,000 (range 22,000-31,000) offered by PGSG biologists in 2015 (Regehr et al. 2016; Wiig et al. 2015). The scary question is this: what do Arctic residents do if there are actually as many as 58,000? See my new book (Crockford 2019) for the full rationale and references used to arrive at this figure. 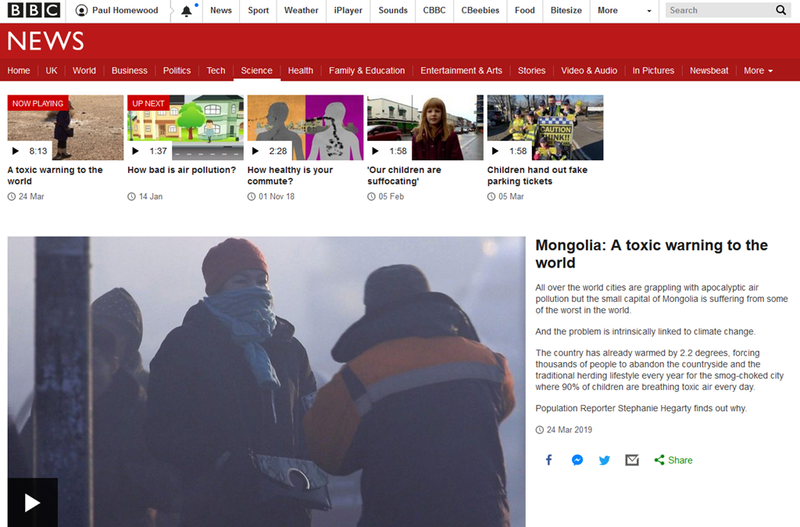 CLASSIC example of the climate theory-obsessed BBC defaulting to “CLIMATE CHANGE” in order to push their misanthropic agenda. “Ulaanbaatar is going through the same process of economic development as western cities did a century or so ago. And the answer to their problems is the same – economic development, which allows them to clean up their environment at the same time as improving standards of living. As for her claim that this will become the norm, the reverse is true. Across the world, cities are managing to improve air quality. 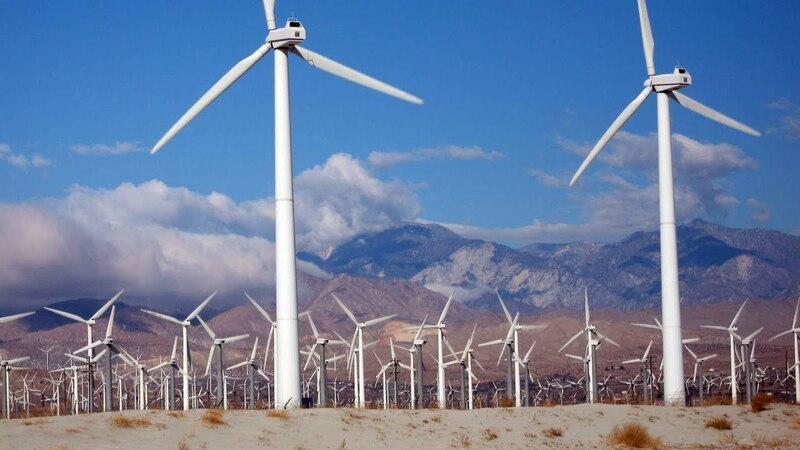 And they are doing it by better technology, not by stopping using fossil fuels.